A Palestinian businessman, the U.S. government, George Soros, and Emirati oil money are bringing a $60 million private equity fund to the Palestinian territories. A private equity fund that just launched in the West Bank is the territory’s first–and an economic milestone for the geopolitically beleaguered statelet. The Siraj Palestine Fund has raised over $60 million to invest in regional businesses and is expected to reach $80 million this year. The fund is operated by Bashar Masri, a Palestinian-American businessman with close ties to the Palestinian Authority, who is arguably best known in the United States for his work in constructing the town of Rawabi, the first planned Palestinian community. Rawabi received significant funding in that ongoing project from the Qatari government. Siraj Palestine’s cash is primarily earmarked for small- and medium-sized local firms in the tech, manufacturing and transportation sectors. Capital for the project comes from the Overseas Private Investment Corporation (a U.S. quasi-government agency), the Soros Economic Development fund, the Pension Boards of the United Church of Christ, Crescent Investments (an arm of the Emirati Crescent Petroleum conglomerate) and Masri’s own Massar International. The launch of the Siraj Palestine Fund, while important for local businesses, is more significant as a bellwether of changing political fortunes in the Palestinian Territories. As the devastating effects of the Second Intifada recede into historical memory, the Palestinian economy outside of Gaza is being altered by an influx of foreign aid money, a Palestinian government eager to cut deals with Israel and an increasingly educated workforce bolstered by expatriates returning to Ramallah. However, the West Bank economy is still severely hampered by the continuing Israeli military presence and divisions with the de-facto Hamas government in Gaza. 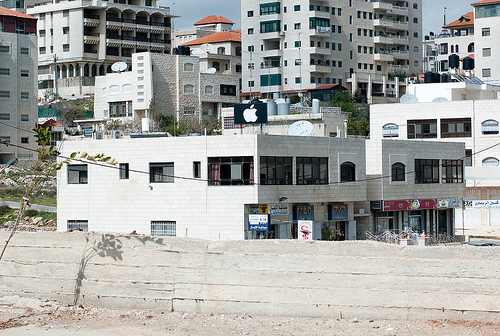 American and Emirati money flowing into the West Bank–USAID and the European Union have long subsidized businesses in the territory–is indicative of which nations are attempting to bring the nascent Palestinian economy into their sphere of influence. The West Bank’s technology and manufacturing sectors often appear to be surprisingly healthy to Western observers. USAID is currently involved in a separate effort to boost the Palestinian tech sector by turning the territory into an outsourcing center. For more stories like this, follow @fastcompany on Twitter.